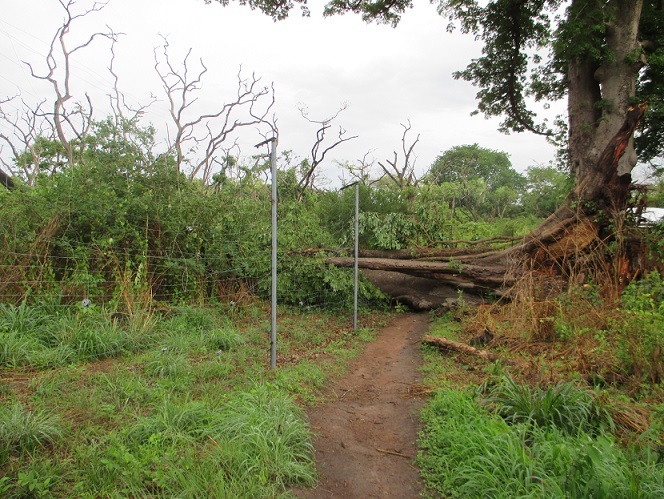 The base of this tree was severely damaged in January 2009, when a huge bush fire devastated CCC. Miraculously, nobody was injured, neither the CCC team nor the chimps. 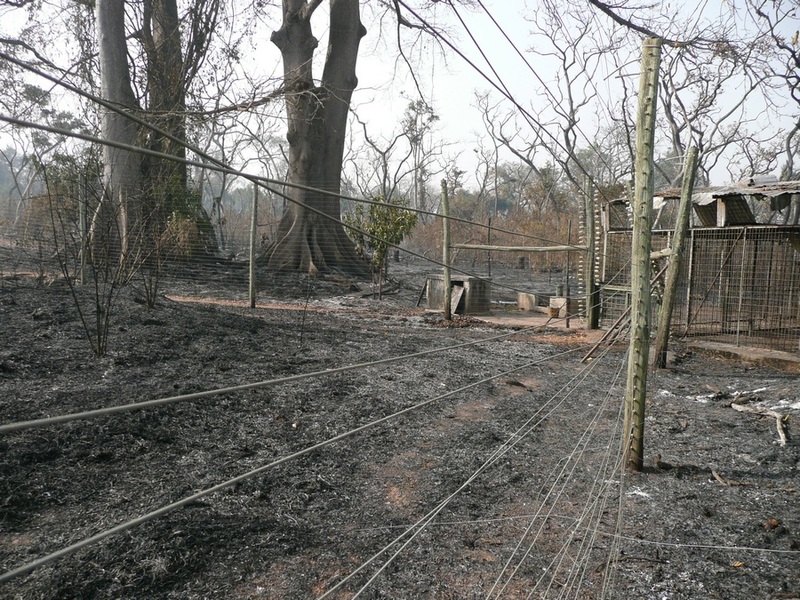 But the fire burnt the base of these 3 huge trees, which provide a very nice shade to the cages. This kapok tree was the second biggest ones and it didn’t resist the violent winds of the storm. 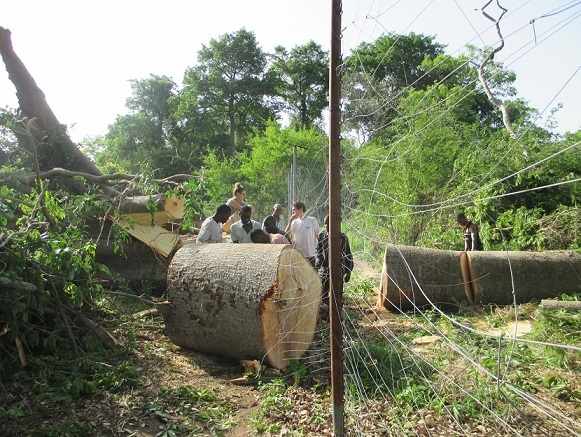 And we now fear the base of the biggest kapok tree might also be weakened. The situation for this tree is going to be evaluated very quickly as it could be very dangerous for the chimpanzees if it was going to fall as well. 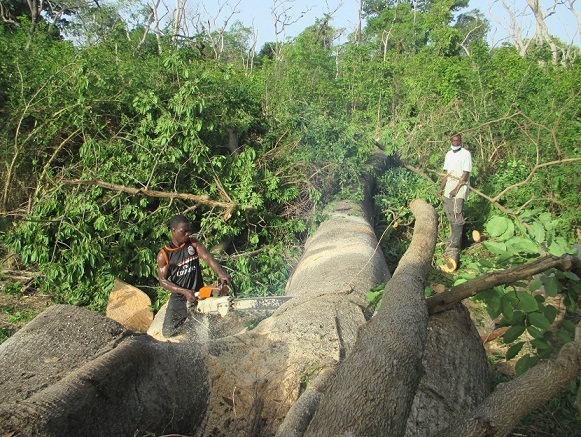 So the CCC team was very busy in the past days to cut this huge tree. When it’s done, the fence will need to be fixed! This enclosure was built 2 years ago and we are glad we decided to work with metalic posts! They coped well with the weight of the tree! The team is doing its best to fix the enclosure so the teenagers can access it asap. We will keep you posted on the progresses. Thank you Brigitte Bardot Foundation!